This is a fun and creative way for kindergarten through 2nd grade students to learn about characters. 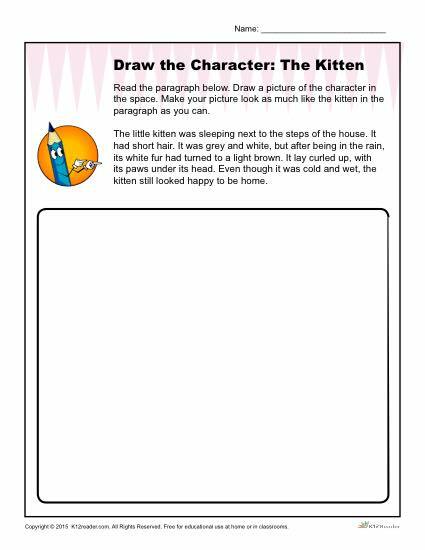 Students will read the paragraph and then draw a picture of the character (a kitty) in the space. You’ll ask your child or student to make the kitten look as much like the paragraph describes it as possible.